People go dairy-free for a number of reasons, including food allergies, lactose intolerances, a vegan or vegetarian lifestyle or to combat digestive issues. 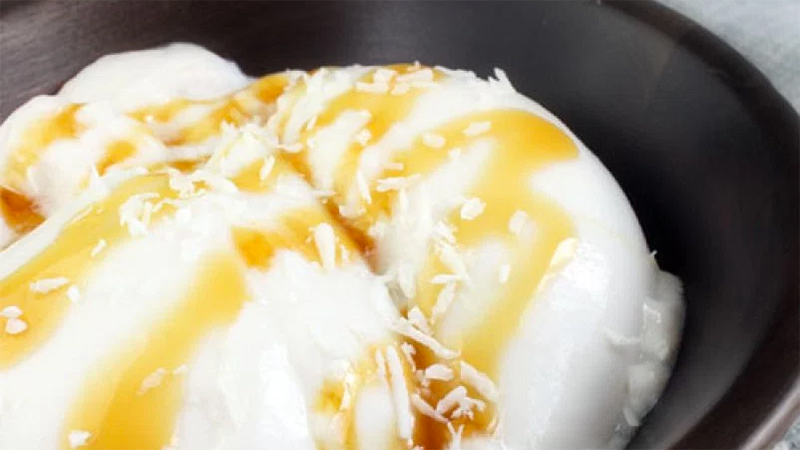 But since breakfast typically includes some form of dairy, from the cream in your coffee to your cereal with milk, we’ve rounded up a 15 delicious, clean-eating breakfast ideas that don’t include dairy as a main ingredient. As an added bonus, many of these recipes are also gluten-free, vegan or paleo friendly, so there’s something here for everyone. Enjoy! Muffins often include milk as an ingredient, but a little switcharoo from cow’s milk to coconut milk can help make this morning snack soft, moist and dairy-free. 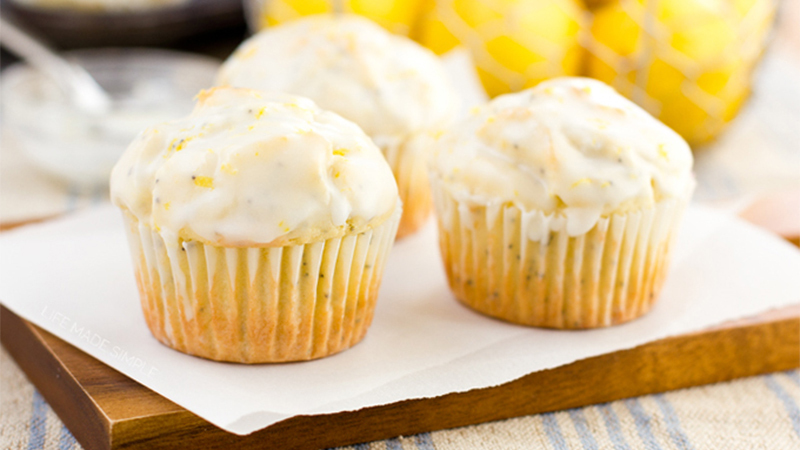 Lifemadesimplebakes.com created a zesty muffin recipe you’ve got to try. 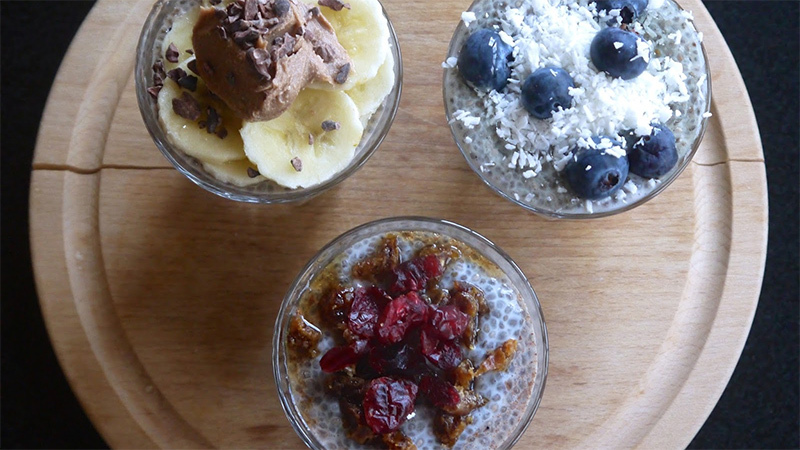 By going dairy-free you can boost the flavour of your morning oats. How? 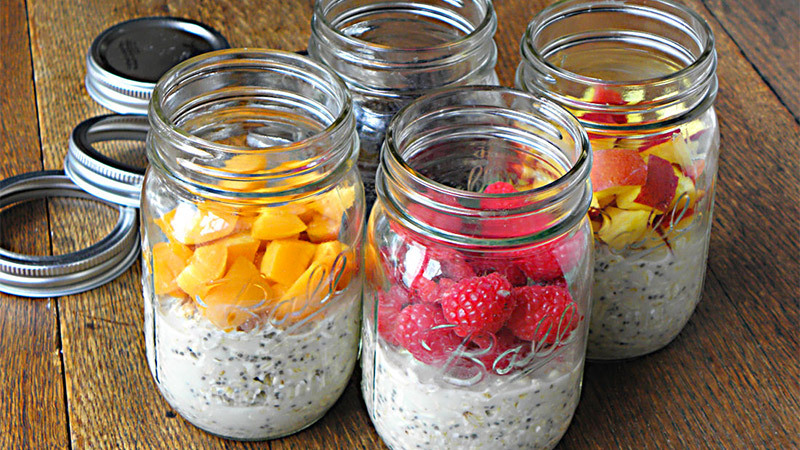 swapping in flavoured almond milk, like sugarfreemom.com does in this decadent recipe. In addition to vanilla extract and vanilla-flavoured stevia, this recipe calls for vanilla almond milk. It takes just 10 minutes to prepare, and you leave it overnight. It’s hard to imagine French toast without milk, but a milk-alternative will do just the trick. 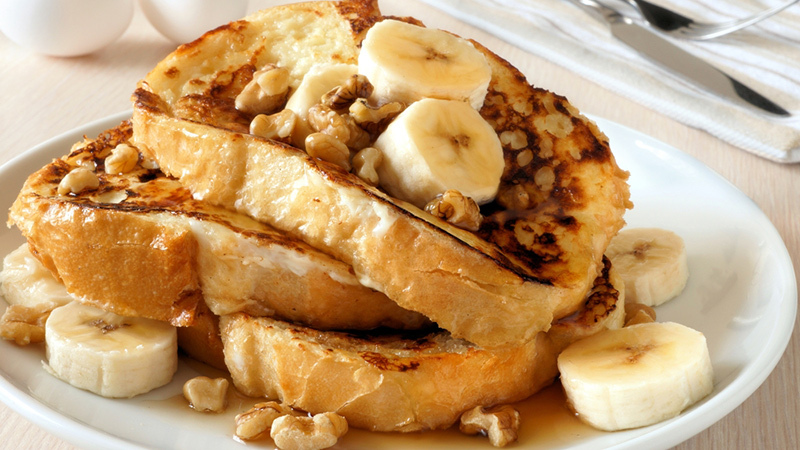 Blended bananas help keep your toast moist on the inside and crisp on the outside. Try this recipe from drgreene.com, which also asks for pumpkin pie spice. Yum! 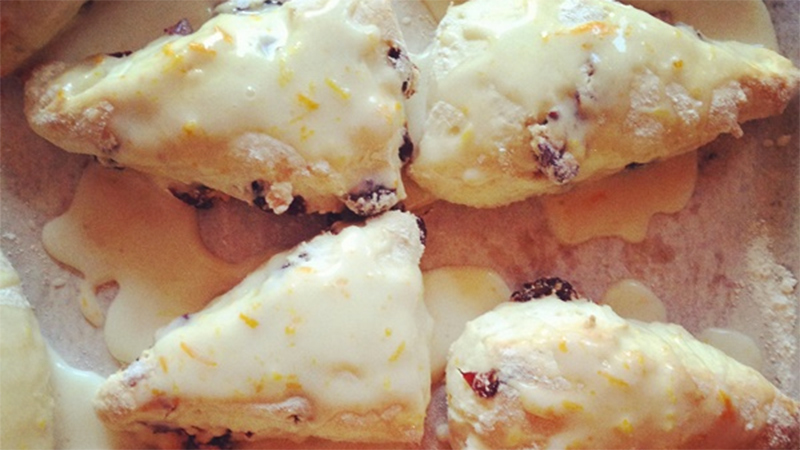 Looking for something completely different for breakfast? Annies-hungry.com offers up a tasty pudding recipe, and in place of dairy, it calls for hazelnut and almond milks. Just make it the night before and you don’t have to rush to cook in the morning. Who says dairy-free means no fun? 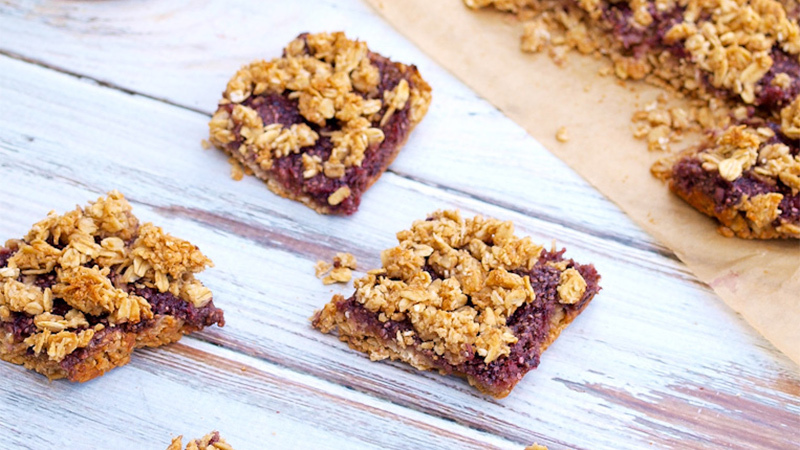 Happyhealthymama.com’s bar recipe will make you feel like a kid again. The peanut butter and honey are a classic, nostalgic combo that everyone loves. One recipe makes 16 bars, so you’ll have plenty of breakfast to go around for the whole family. Regular yogurt might be off your list, but did you know can make your own, dairy-free version without any milk at all? Lexieskitchen.com offers a recipe made with coconut milk. It takes just 30 minutes to prepare (then sits in the fridge for half a day), and voila, you’ve got homemade yogurt! Yes, Ice cream for breakfast! On a hot summer morning (or simply when you’re craving something cold, sweet and fruity) you’ll want nothing else. 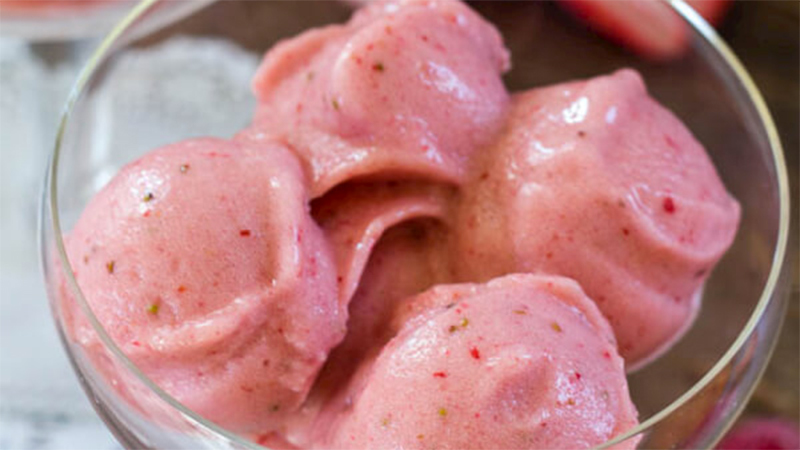 Sweetandsavorybyshinee.com created this frozen treat – no milk or cream needed. The frozen banana, once whipped and blended, give the same consistency as ice cream, without any of the dairy or added calories. 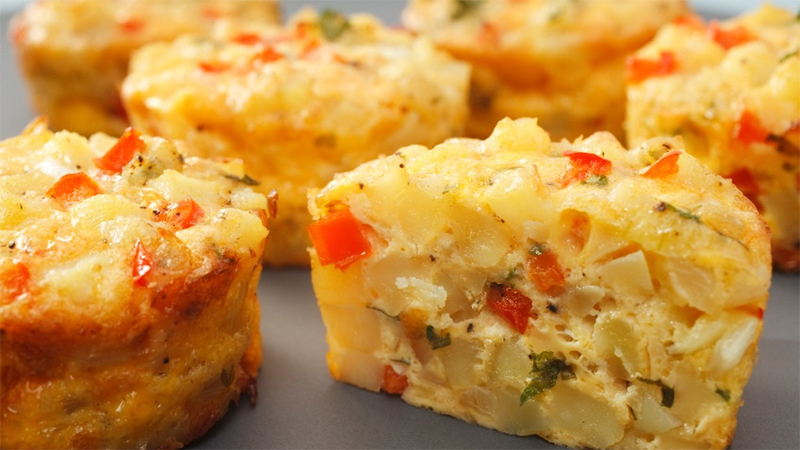 For a dairy-free, gluten-free breakfast that’s chockfull of protein, crack a few eggs with and whip up this delightful frittata recipe from thebodysmith.blogspot.ca. You can adapt the ingredients list to your liking and swap out any veggies for your favourite ones. 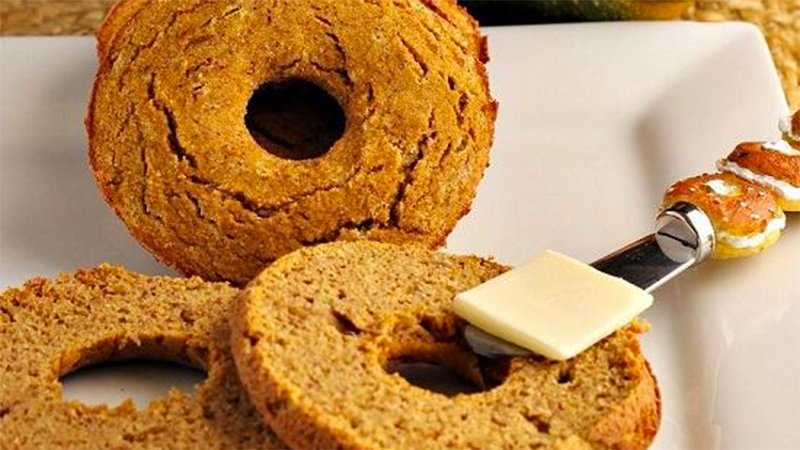 In half hour, you could have freshly baked, paleo bagels, ready to eat. Beautyandthefoodie.com makes that a reality. And not only are they low-carb and dairy-free, they’re also paleo diet friendly. Onefrugalfoodie.com created a recipe you can use for pancakes or waffles (depending on your mood!). You can use any milk alternative, but the recipe developer favours unsweetened coconut milk. On some mornings, you just don’t have time for a sit-down breakfast. So this is a great grab-and-go meal from cupcakesandkalechips.com. And not only will you not miss any milk in them, you won’t miss having to take the time to bake them in a hot kitchen. 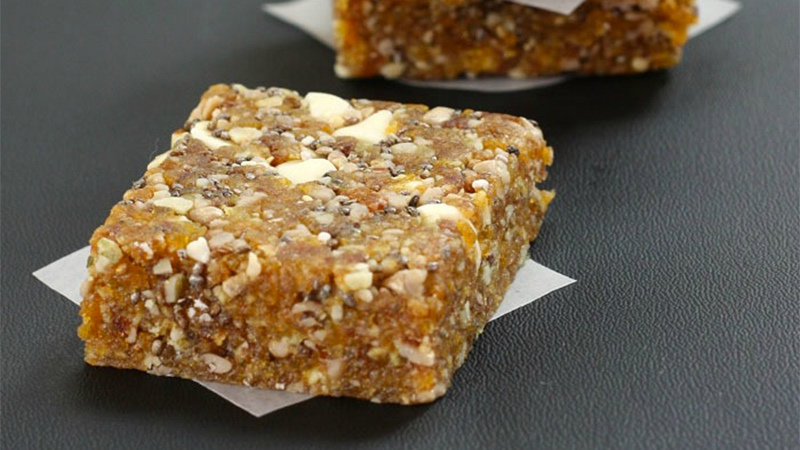 The dates and apricots bind the ingredients, and the recipe makes 12 to 16 bars. 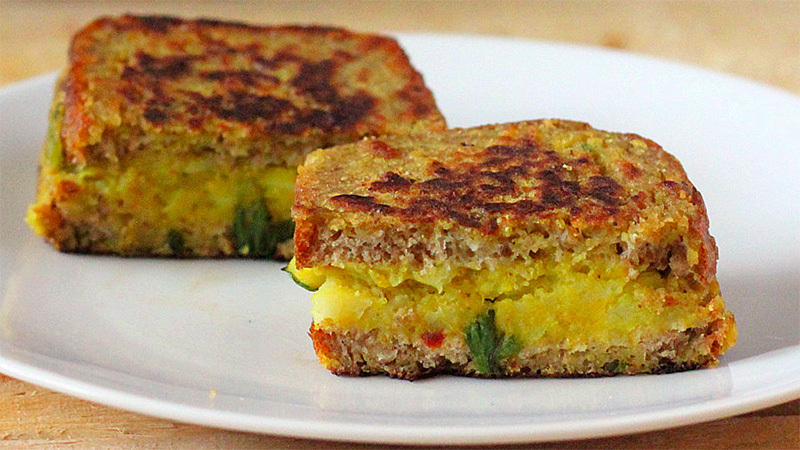 You can also get really creative for brunch, and try this veganricha.com recipe for French toast with a spicy potato stuffing. It’s a savoury meal that will definitely have your stay-over guests talking and eating. We’ve saved the best for last. 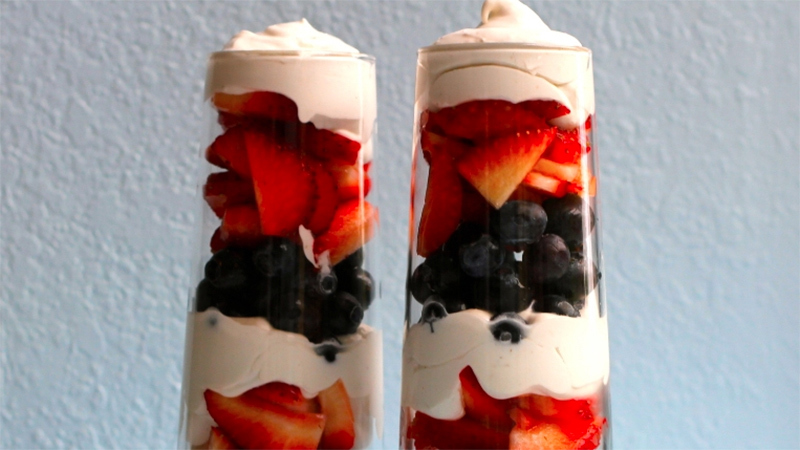 Don’t forgo a delicious and healthy fruit parfait just because you’re avoiding milk. 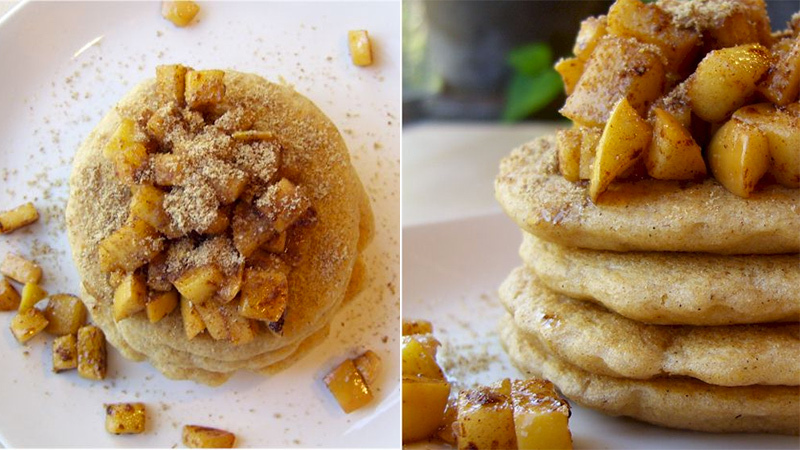 Rippedrecipes.com posted this easy breakfast that is vegan, gluten-free and paleo friendly. Plus, it’s so pretty, it’s Instagram-worthy!